Easily create advanced barcodes into RDLC Local Reports and get them correctly displayed in all output formats (HTML, PDF, Image, Word, Excel). Insert barcodes into Header & Footer sections of your RDLC report following a couple of simple steps. While with most reporting tools the integration is done through a barcode image/bitmap-approach, with PrintDocument class of .NET our product renders high-quality barcode symbols! Barcode Professional can generate barcodes in raster formats like GIF, BMP, PNG, JPEG/JPG & TIFF; in vector formats like EPS (Encapsulated PostScript) with RGB/CMYK, EMF (Enhanced Windows Metafile). Monochrome (Black and White 1 bit per pixel) barcode image generation is also supported. All barcode can be rotated at 90, 180 & 270 degrees. Have a Word document and need to stamp a barcode image? This guide insert a barcode image into an Invoice Word document. Use this other guide if you need to create and insert a barcode image in an Excel worksheet instead. Render and draw barcodes on System.Drawing.Graphics objects. Get crisp high quality barcodes even if they are applied with any transforms like scale or rotation. Barcode Professional for Windows Forms was built in compliance with Microsoft's Security Development Lifecycle (SDL) requirements and recommendations that are mandatory for getting the Windows App Certificate. Barcode algorithms written in managed-code C# which can be used in any kind of .NET client projects like Windows Forms, Console or Windows Services. Barcode Professional also supports .NET Data Binding and Binary, SOAP & XML serialization features. Easy as 1, 2, 3! (1) Just add a reference to Barcode Professional DLL assembly, (2) instantiate it in your preferred .NET language like VB.NET and C#, (3) set up barcode properties and that's it! XCOPY deploy the barcode dll bundled with your exe app or dll project. 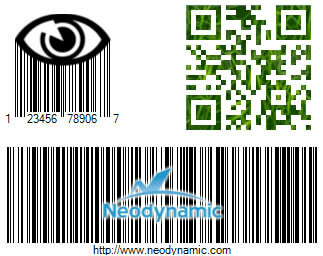 Barcode Professional for Windows Forms features a powerful visual barcode designer called Barcode Builder. When you drag & drop Barcode Professional from Visual Studio Toolbox, you can play with Barcode Builder to create, preview & save the output barcode!